What is a Disk Benchmark and what is it good for ? What is an Application Benchmark and what is it good for ? 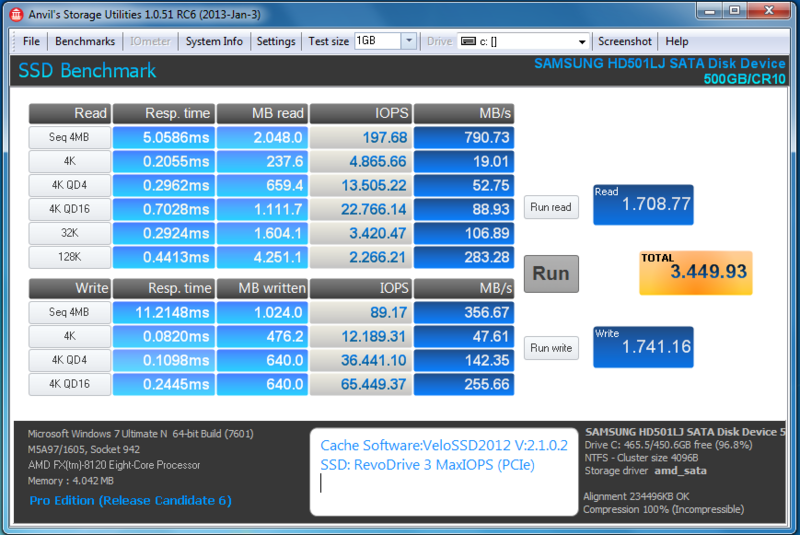 An Application Benchmark measures not only the performance of one storage device. Depending on the benchmark it will produce values for certain tasks like: Video editing, Application loading, Database transactions, Game speed and so on.These benchmarks typically run longer and are not free for commercial use. A computer with a 4TB Harddisk and a PCIe SSD. Powered by VeloSSD 2.1. 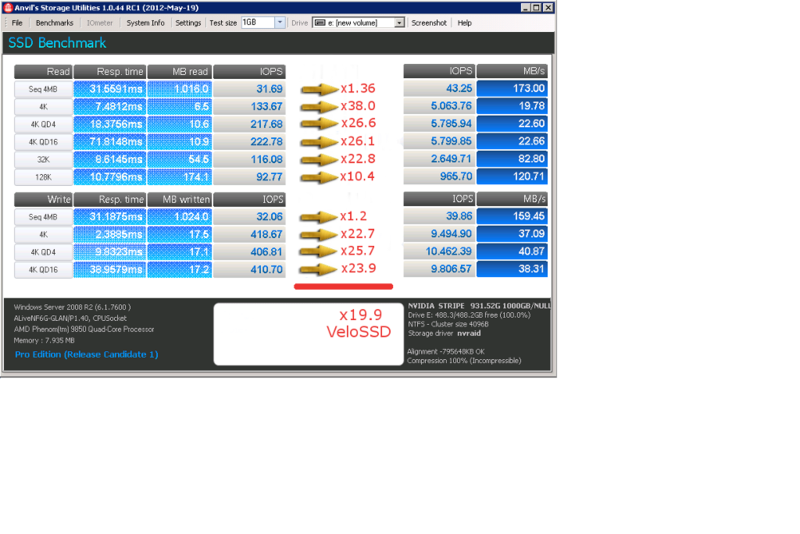 The Benchmark Software shows to the right Informations about the Host Disk Model and Manufacturer. Below in the middle are Informations about the Cache Model and Manufacturer. 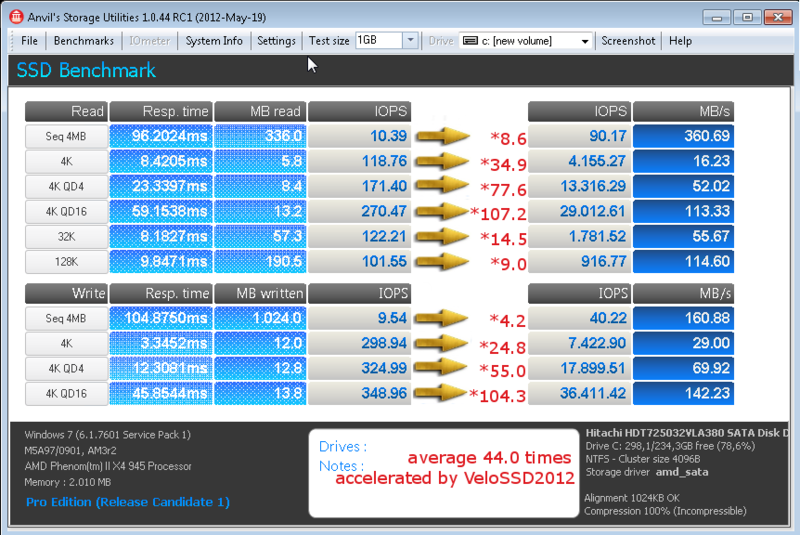 July 2012 Benchmarking VeloSSD delivers record acceleration ! For the complete Benchmark look here.